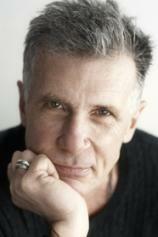 Michael Cunningham was raised in Los Angeles and lives in New York City. He is the author of the novels THE HOURS, A HOME AT THE END OF THE WORLD, SPECIMEN DAYS, FLESH AND BLOOD and BY NIGHTFALL. His work has appeared in The New Yorker and Best American Short Stories, and he is the recipient of a Whiting Writer's Award. He received the Pulitzer Prize for Fiction and the PEN/Faulkner Award for THE HOURS, which was a New York Times bestseller, and was chosen as a Best Book of 1998 by The New York Times, Los Angeles Times and Publishers Weekly. He is a Professor at Brooklyn College for the M.F.A program. A poisoned apple and a monkey's paw with the power to change fate; a girl whose extraordinarily long hair causes catastrophe; a man with one human arm and one swan's wing; and a house deep in the forest, constructed of gumdrops and gingerbread, vanilla frosting and boiled sugar. In A WILD SWAN, the people and the talismans of lands far, far away --- the mythic figures of our childhoods and the source of so much of our wonder --- are transformed by Michael Cunningham into stories of sublime revelation. THE SNOW QUEEN follows the Meeks brothers as each travels down a different path in his search for transcendence. Barrett, haunted by a mysterious light, turns unexpectedly to religion. Tyler grows increasingly convinced that only drugs can release his creative powers. Michael Cunningham demonstrates a profound empathy for his conflicted characters and a singular understanding of what lies at the core of the human soul.